And we've created a school just for people like you. Creative careers are thriving in Music City! 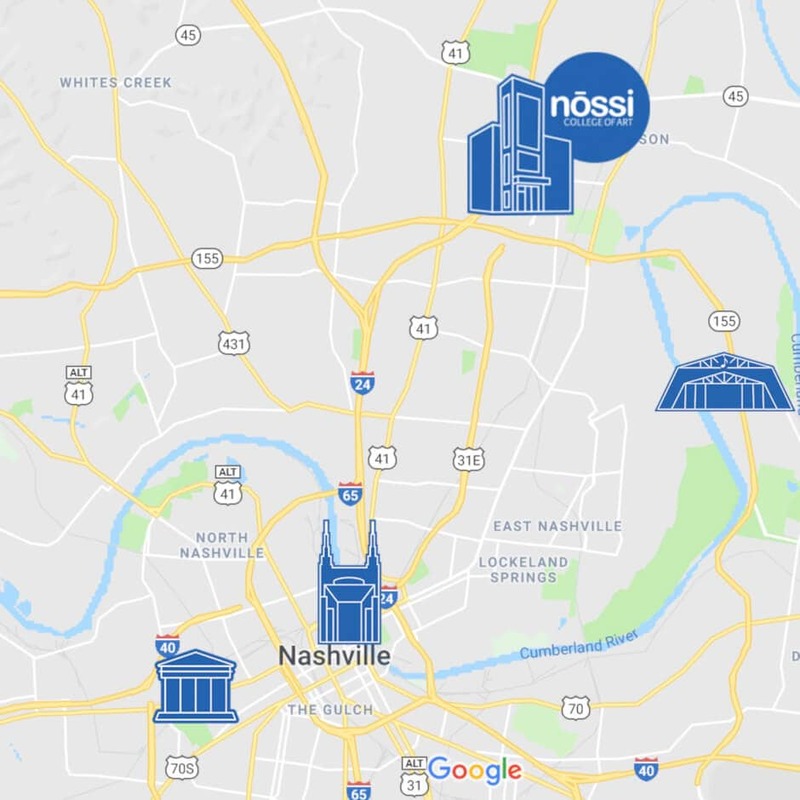 Located a few minutes from downtown Nashville, Nossi places you in the middle of one of the top cities in the nation. Music. Fashion. Sports. Events. Theater. Non-Profits. Connect with important Nashville industries to produce a professional portfolio by graduation. Today’s employers demand design skills for online, mobile, wearable, animation and multi-touch screen device development, changing the traditional platform of web design by evolving with new technologies.